Hi everyone! 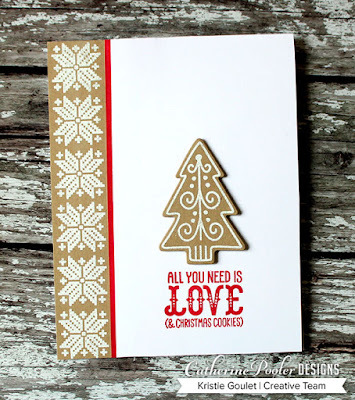 I have a card up over on Catherine's blog today! Hi friends! 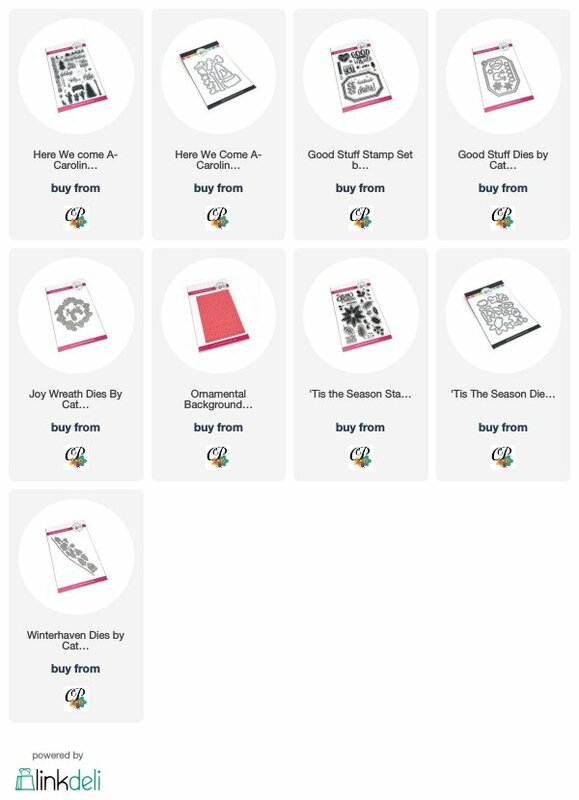 Just popping in quickly to let you know the Winterhaven Stamp of Approval Collection hits the shop as individual items today! Did you miss out on the collection? 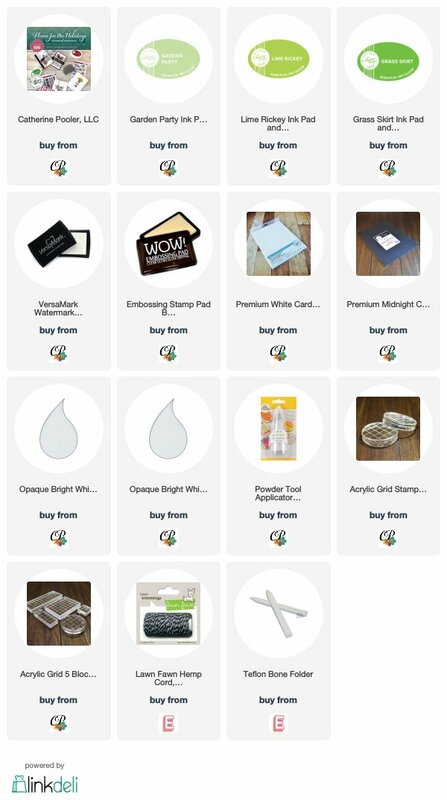 Now's your chance to get these items that will have you covered from Christmas cards to hostess gifts, handmade goodies, treat bags, ornaments, gift tags, thank you notes after the gift giving, New Year's Eve and even a couple elements that will work for Valentine's Day! Hi everyone! I have a card up over on Catherine's blog using the All the Trimmings Release! Hi everyone! 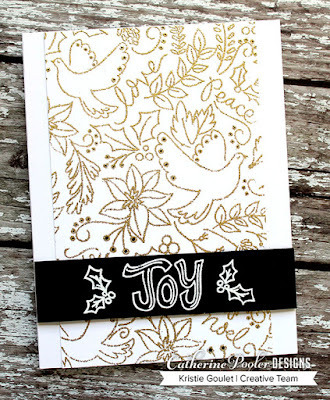 I'm back today sharing another Christmas card using the gorgeous Peace, Love & Doves Background Stamp. I silver heat embossed the background and then used Catherine's inks and a Zig blender pen to color in the images. It's hard to capture the sparkle on the dove's, but I colored those in using my Spectrum Noir glitter pen. 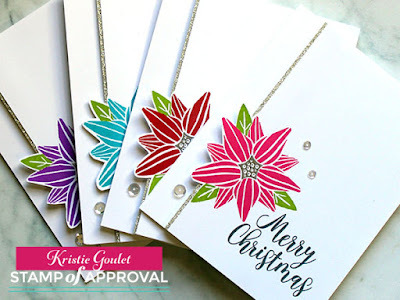 I will have a short video clip on Instagram showing off the sparkle. You can see it a tiny bit in this close-up, but it definitely shows up better in the little video. I trimmed off the bottom at an angle and added it to a black card base that I white heat embossed the sentiment onto. 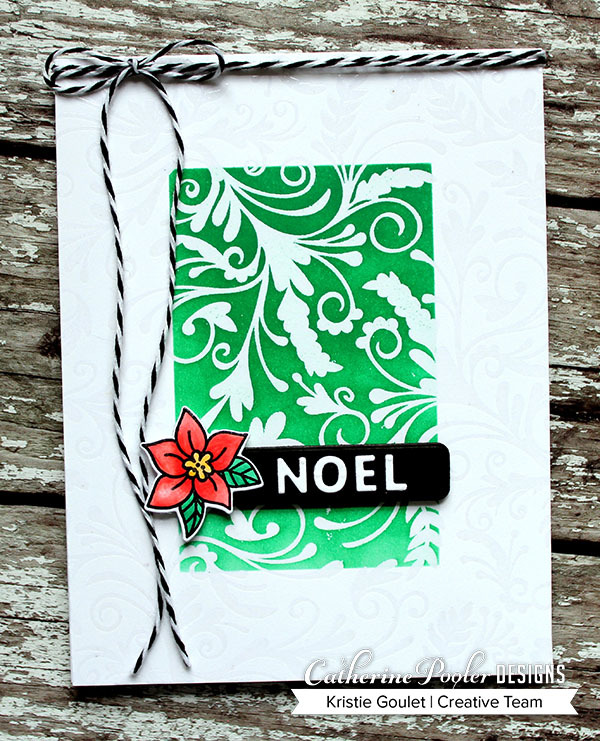 A quick, easy, beautiful card to add to my growing Christmas card stash. Hi everyone! 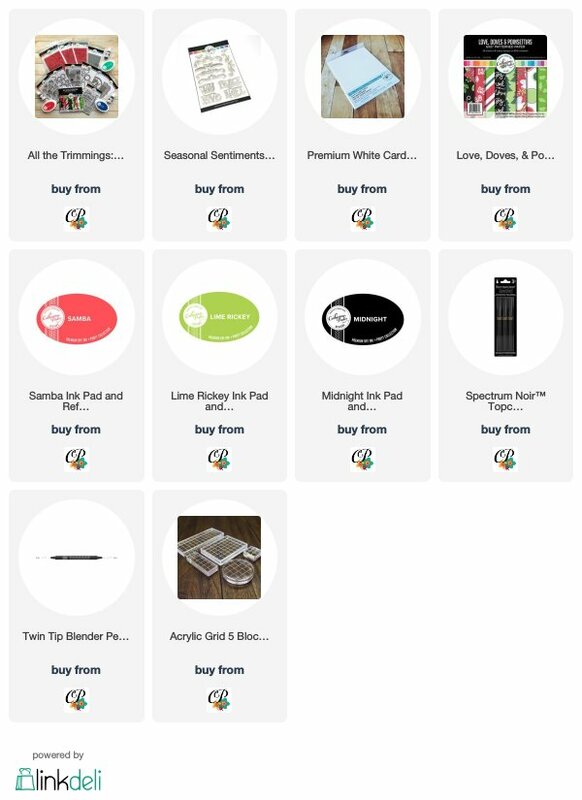 The All the Trimmings Release is available now! 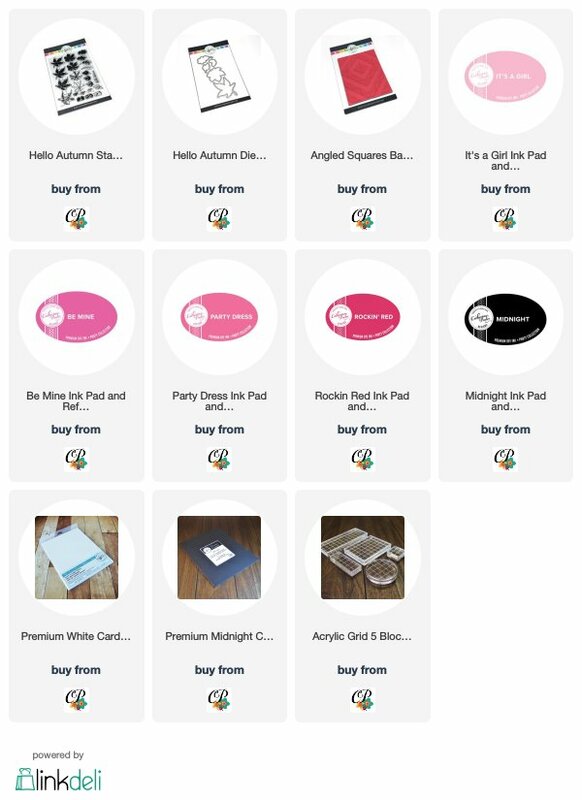 You can see all of the new products HERE! 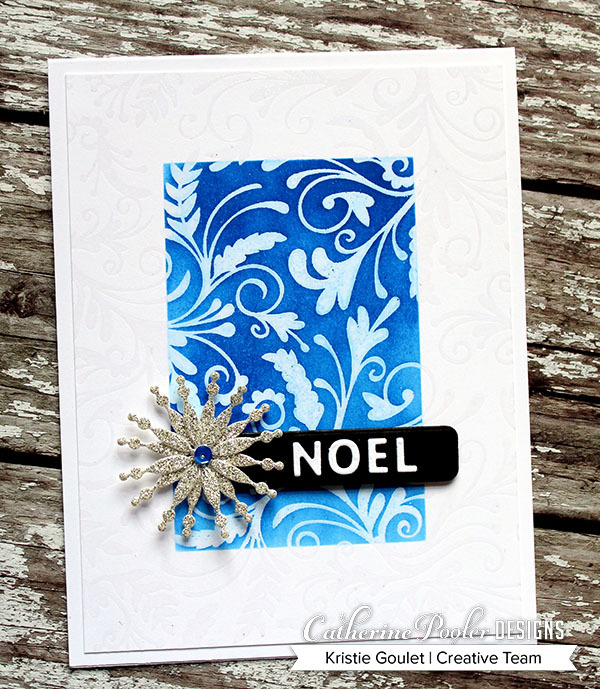 I have another card to share with you all using the Snow Globes dies and the Woodgrain Background Stamp. 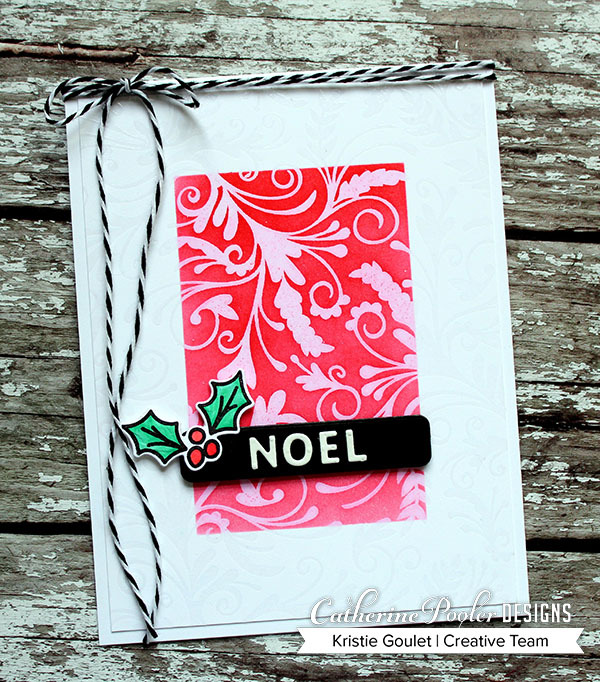 I blended Fiesta Blue and Flirty Fucshia onto the small circle from the globe dies. 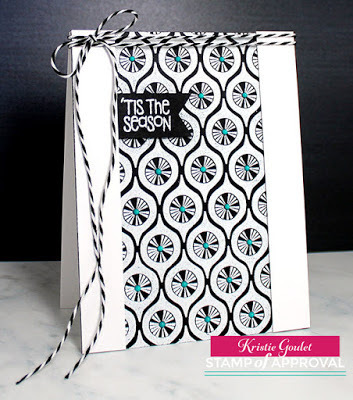 I created some hills using the die from the Winterhaven Stamp of Approval Collection. I die cut the deer and tree from black card stock to look like silhouettes. I white heat embossed the Woodgrain background stamp onto my card base for some texture. 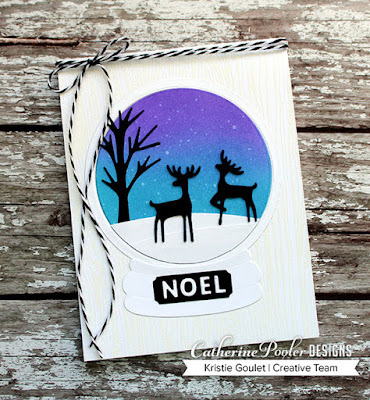 Added the sentiment to the base of the snowglobe and twine to finish off my card. Hi friends! Yesterday was the start of the release hops for Catherine's All the Trimmings Release. We started yesterday with an Instagram Hop. Today you can join the video hop starting HERE! 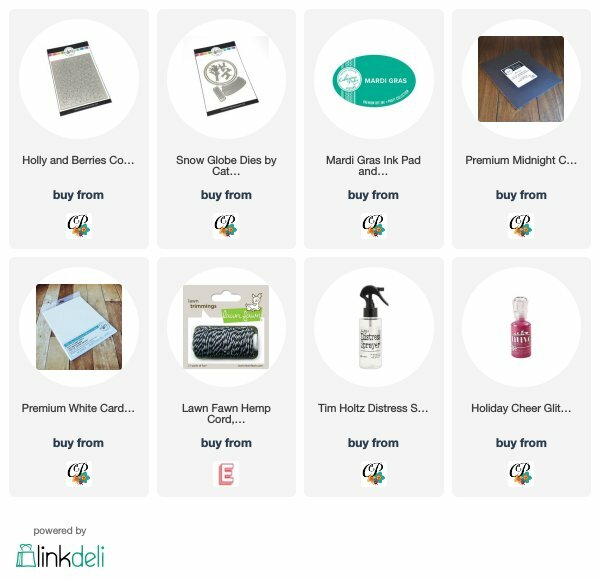 Come back tomorrow for the Blog Hops!! I can't wait to share more cards with you. 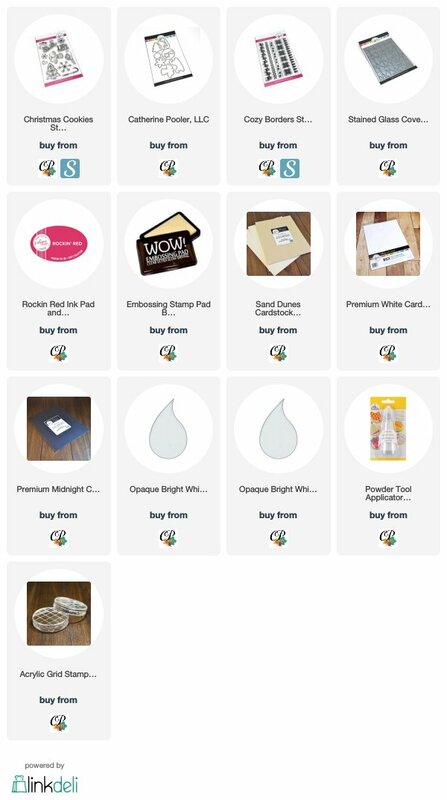 I have had a blast creating with these new products. I used one of the new ink colors on my card today-Mardi Gras!!! It's a most gorgeous green!!!! See you tomorrow for the blog hop! Hi friends! 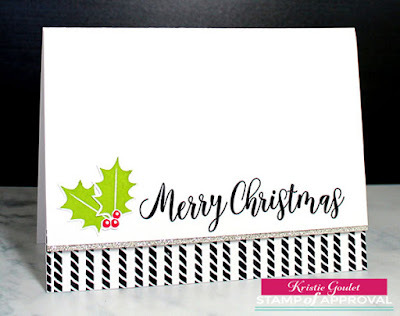 I am sharing another clean & simple card using the goodies in the Home for the Holidays Stamp of Approval Collection. Have you started on your Christmas cards yet? I have, but still have a lot more to make. 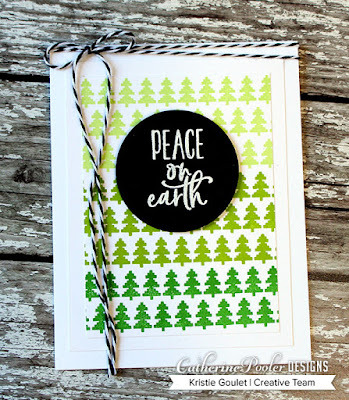 I love this tree stamp from the Cozy Borders stamp set. 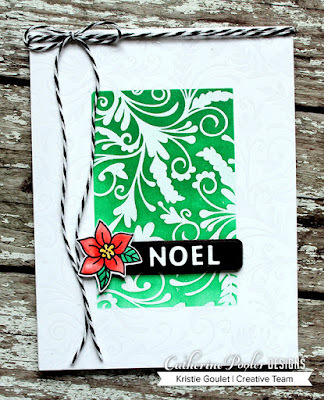 It looks great using green inks in an ombre order. I started with Garden Party, Lime Rickey and then finally Grass Skirt. 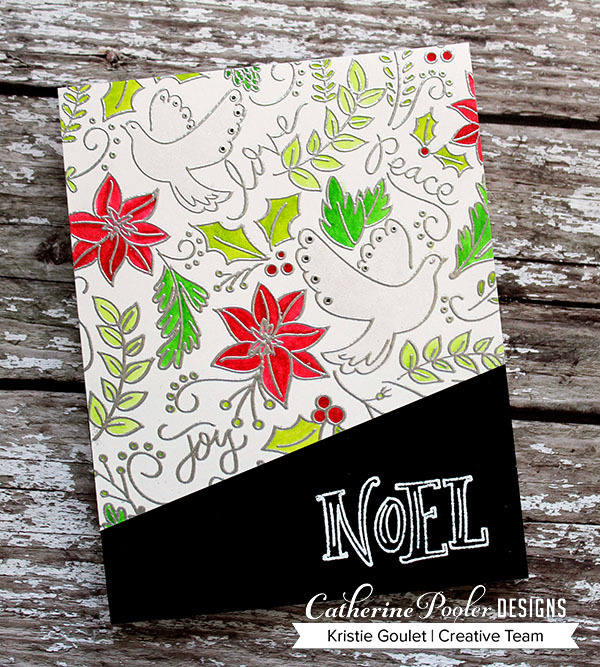 Have you been watching Catherine's You Tube channel this week? If you have you have seen that she is releasing 3 more ink colors!!! Can I get a WOOT????!!!! You need to go check out these amazing new colors and take a guess at the names for your chance to win the inks. 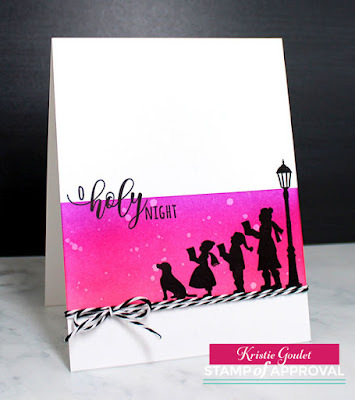 Follow me on Instagram (@kreative_kristie) on Sunday, Oct. 14th for an Instahop showcasing the new release including the inks. Hi everyone! Happy WCMD 2018! Are you creating today? I am hoping to get some time to create something. I have another card to share with you all using some goodies from the Home for the Holidays Stamp of Approval Collection. 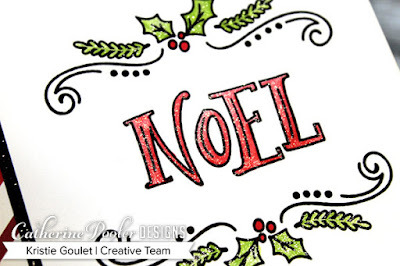 I used the Christmas Cookies and Cozy Borders stamp sets. This would be a pretty easy card to mass produce and use all the cookies that come in the set. 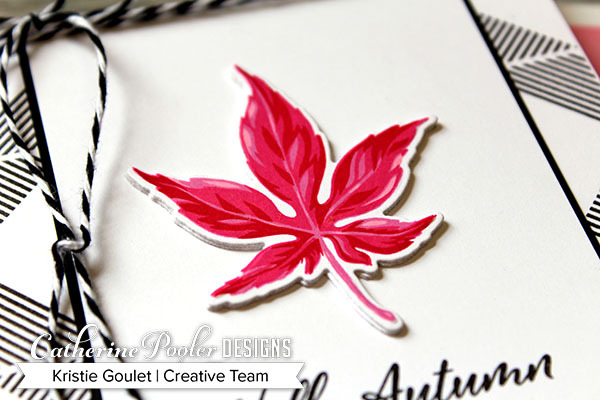 I also wanted to share a sneak peek of one of my cards for the challenges that are going on over on StampNation. We are celebrating WCMD all weekend long over there. 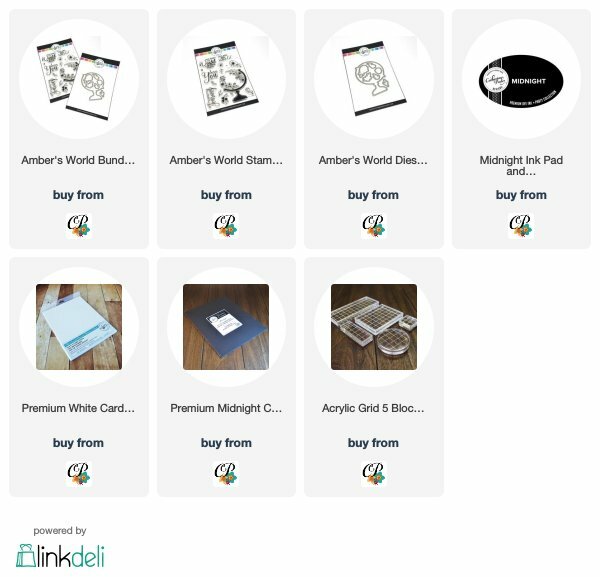 There are prizes to be given away and tons of fun inspiration from the challenges. this weekend! 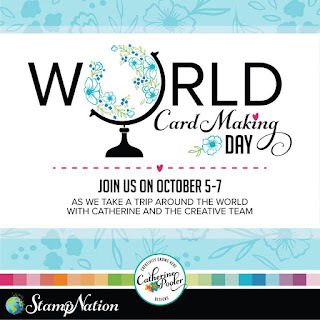 We celebrate all weekend long over on StampNation! 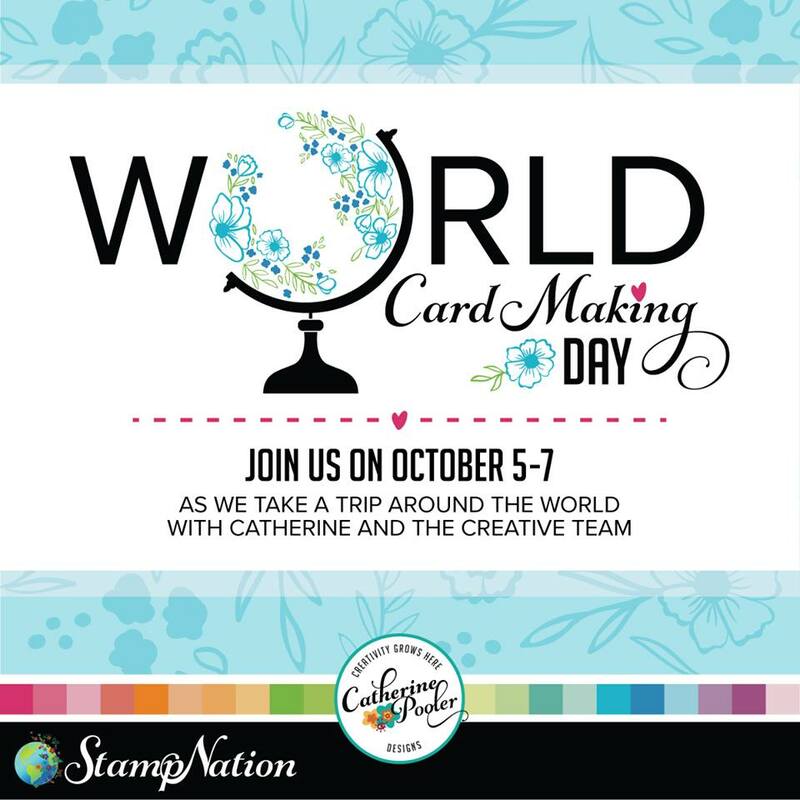 If you've been thinking about joining StampNation, but haven't taken the plunge yet, Catherine is offering a $1 trial for 5 days so you can test it out! 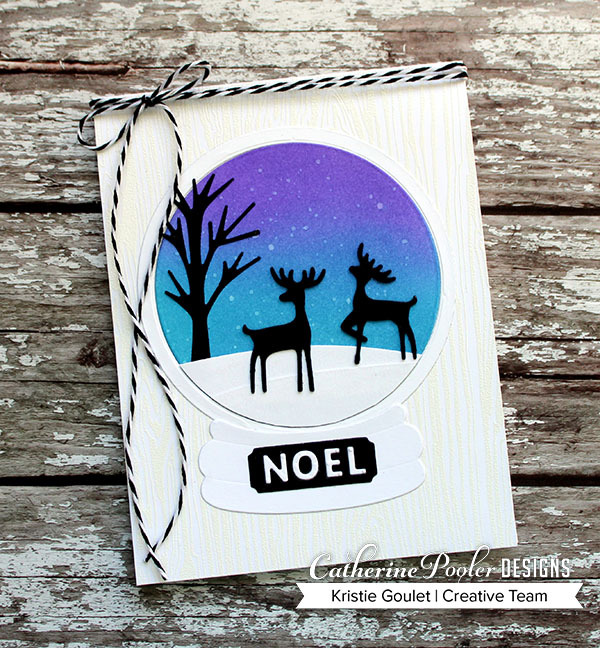 Check out Catherine's blog for all the details. 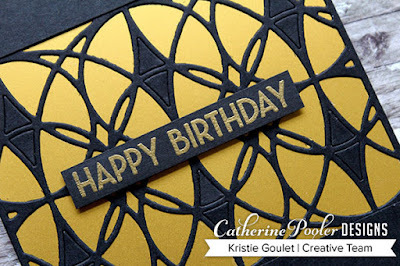 To celebrate, Catherine released a new stamp set and coordinating dies called Amber's World. There is a special story behind this beautifully illustrated stamp set. I encourage you to visit Catherine's blog to learn more about the artist, Amber Shaw who created it. 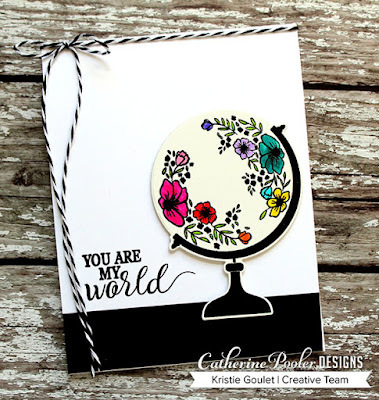 To create my card, I stamped the globe image onto watercolor card stock and colored using Zig Clean Color Brush Markers to color in the flowers. I left the rest of my card pretty simple to keep the focus on the beautiful globe. I added a strip of black card stock to the bottom of my card base to ground my globe. 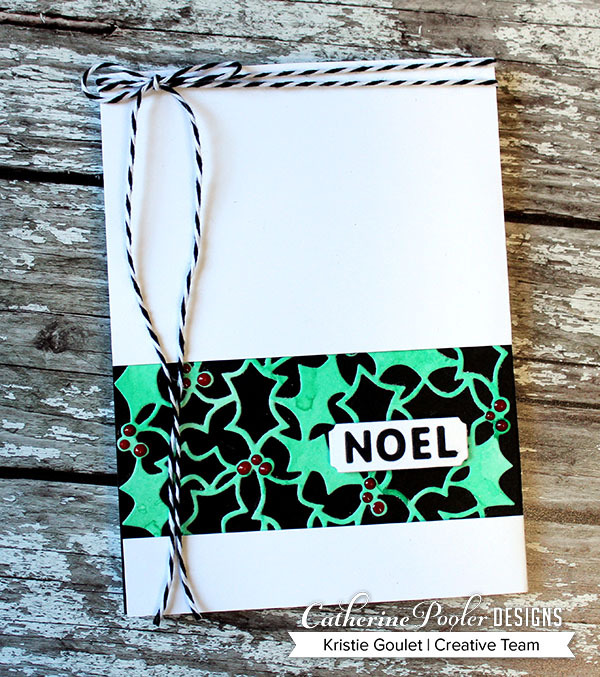 Stamped the sentiment and added some black and white twine to finish off my card.